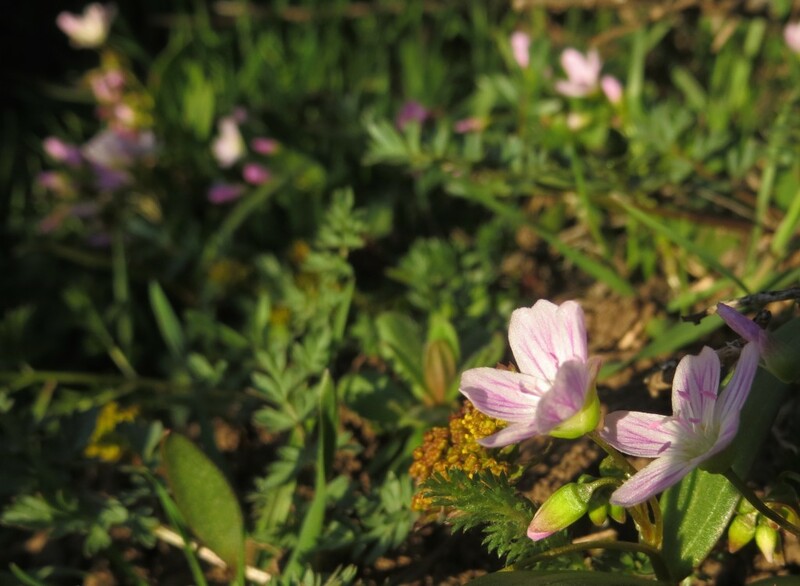 Spring Beauties… known for blooming just as snowdrifts recede from above their heads! Also, their little corms are edible, I’ve baked them in foil in some coals… very much like a baked potato – but tinier! P.S. Happy First Birthday to you, little Miss Lorelei. You are a spring beauty as well! I am really enjoying these recent posts about your wildflowers. This one looks very delicate, and the variegated colors on the petals are lovely. Happy First Birthday to Miss Lorelei! I love to see the wild flowers, to know their names and facts about them. Poetry sort of goes over my head a lot of the time, so poetic posts are a bit of a miss with me. Of the flower photos, I really like this one. I love most everything about Spring and flowers are very high on the list of reasons why! Happy Birthday to Miss Lorelei!